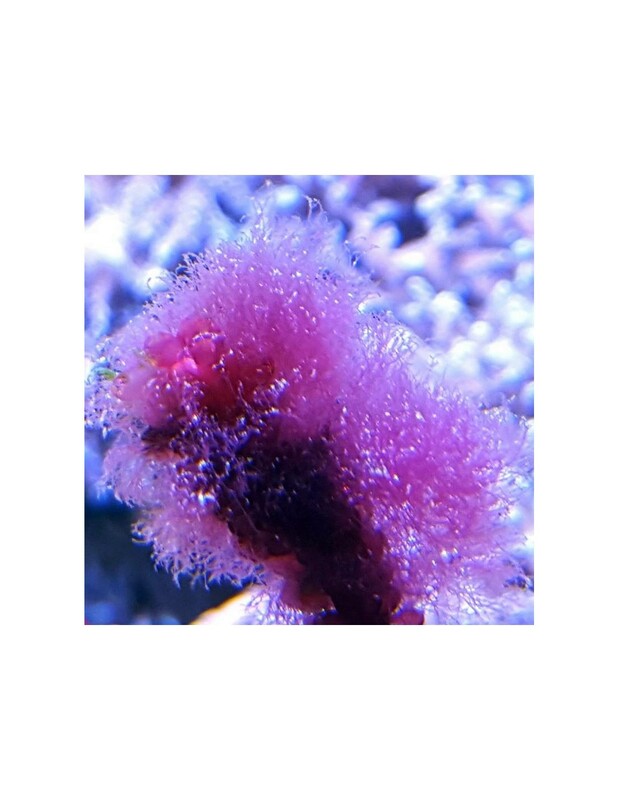 The Pink Cotton Candy algae, is a nuisance marine algae, which looks like some fluffy pink / red cotton wool balls. This algae comes often as a hitchhiker into the marine aquarium. It grows medium fast and as it is an invasive algae overgrow corals and rockwork. 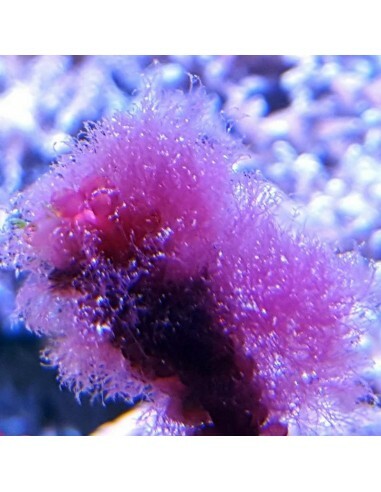 They colouration of this micro algae varies between red and pink.It looks like a fluffy ball and will overgrow anything it can attach too. We recommend to remove it manually as good as possible, as often and much you can do. Don't be tempted to scrub it within your tank off, as it will cause it more to spread. The True Mexican Turbo Snail will get rid of this algae. But we heard as well that the Foxfish might eat this alga too.